Using insight to drive brand consideraton. To keep Nuffield Health gyms front of mind in the ultra-competitive New Year fitness space, we used insight to demonstrate the brand’s understanding of its audience. The ‘Gym-hibitions’ campaign sought to explore the barriers preventing people from joining a gym. With target audiences split across under 35s and the over 55s, we brought Gym-hibitions to life with two staggered campaigns under the same creative umbrella. Generating over 250 pieces of coverage across print and online (including 14 nationals), broadcast and social. To reach younger audiences, we tapped into the wider debate around the influence of social media, demonstrating that a third of under 35 year olds felt that social media is harmful, rather than helpful, when it comes to motivating people to get fit. Targeting lifestyle pages, we drove quality coverage and debate in the likes of Independent Online, HuffPost, Joe.co.uk, Get The Gloss, Cosmopolitan – all key titles for the age group – with the majority of online articles linking to the Nuffield Health website. A supporting micro-influencer campaign to encourage more realistic/less staged imagery posted from gyms drove social engagement, while a competition across social channels to win sweat-activated t-shirts featuring motivational slogans further drove the campaign message home. To reach our over 55s audience we focussed on the lack of knowledge around the importance of exercise for maintaining bone density as we age. 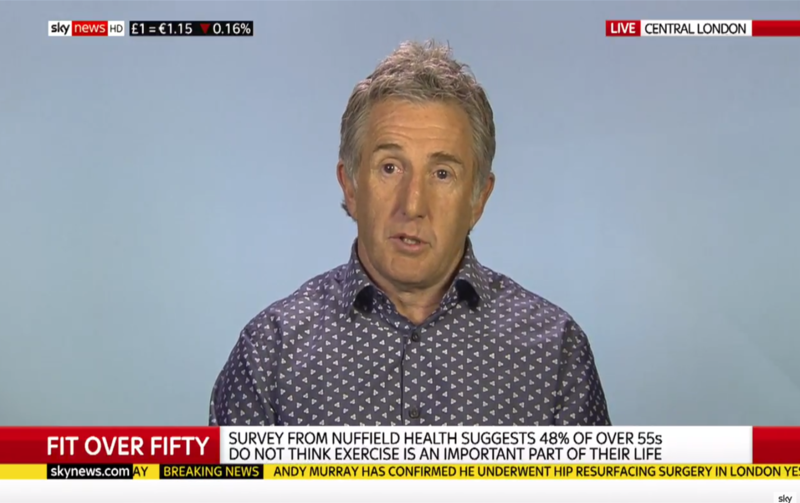 With a strategic focus on broadcast media to reach the older age group, we landed our spokesperson on GMB and Sky Sunrise, with 9 BBC and 2 national stations picking up the story. Editorial coverage in national and regional print and older lifestyle media amplified reach. Generating over 250 pieces of coverage across print and online (including 14 nationals), broadcast and social the campaign smashed KPIs. Share of voice for Nuffield Health in January was more than triple that of its main gym competitors with Nuffield Health not only being part of, but driving the New Year fitness conversation.